As I said in an earlier contribution in this series,1 although Russell and Burch stated that “reduction, of all the modes of progress” [i.e. the Three Rs], “is the one most obviously, immediately, and universally advantageous in terms of efficiency”, I have always found their Chapter 5, on Reduction and Strategy in Research,2 the most difficult part of The Principles of Humane Experimental Technique to understand. 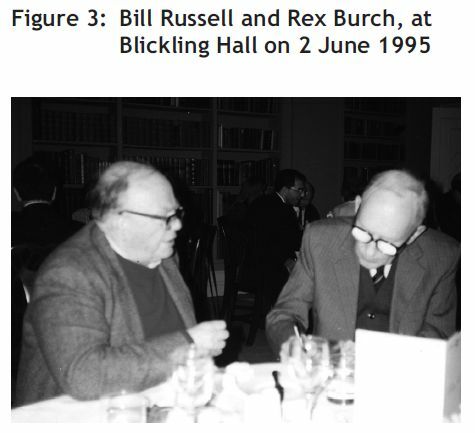 Russell and Burch were strongly committed to the proper design and analysis of experiments, and, in particular, to the proper application of statistical methods. They rightly said that statistical advice is important at the outset, since “every time any particle of statistical method is properly used, fewer animals are employed than would otherwise have been necessary”. However, from where that advice is sought, and when and how it is applied, is crucial. As Russell and Burch put it, “statisticians are justly indignant, if asked to cope with the results of bad design. 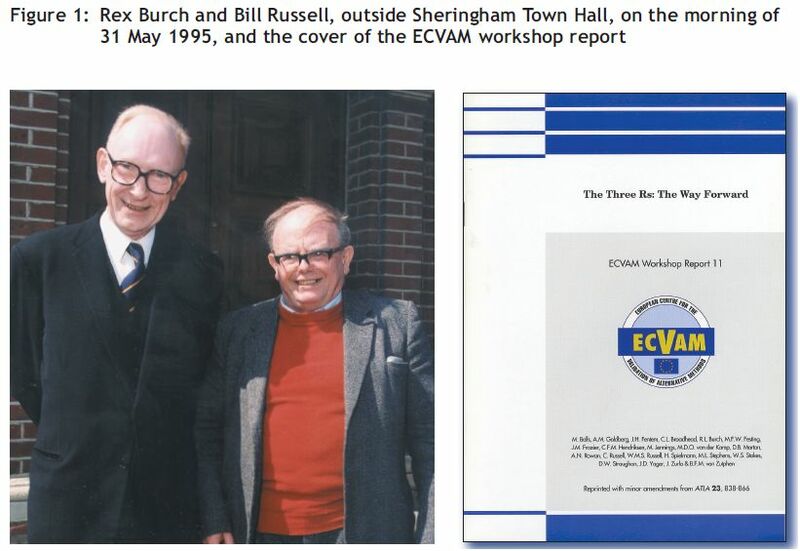 Of course, it is an elementary principle for any experimenter, not himself a statistician, to seek advice before experimenting.” I heeded that advice, and at ECVAM, I had the privilege of working with excellent statisticians, notably Graeme Archer and Sebastian Hoffmann. 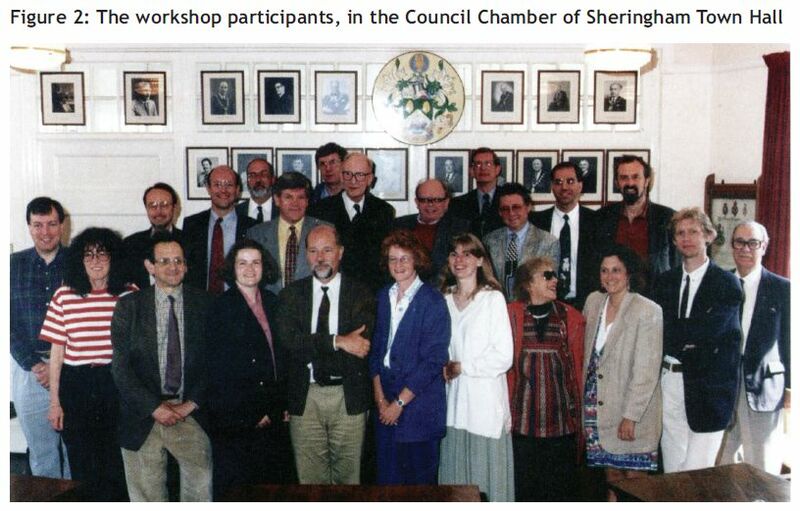 I have also benefited from consultation with others, such as Michael Festing and David Lovell, being in agreement with Russell and Burch that “toxicity testing is the scene of some confused thought”. Nevertheless, as Editor of ATLA, I am still regularly confronted by the misuse of Student’s t-test when comparing data from several experimental groups with one control, when Fisher’s analysis of variance should have been used instead. Fisher had a glittering career, including a long and fruitful collaboration on ecological genetics with E.B. Ford, who taught genetics at Oxford to, among many others, William Russell and me. I remember Fisher coming to give a seminar in about 1958, and, on seeing him have a highly complicated discussion with Ford, in public, feeling that I was in the presence of two of the greatest minds of the 20th century. The outcome of their collaboration was “the general recognition that the force of natural selection was often much stronger than had been appreciated before, and that many ecogenetic situations (such as polymorphism) were not selectively neutral, but were maintained by the force of selection”.3 If I understand properly what that means, it may indicate that biomedical scientists should be more willing to take human polymorphism into account, especially when trying to translate the results of experiments on animals into meaningful conclusions about human beings. As Russell and Burch put it, researchers should take great care to avoid the high-fidelity fallacy. Thinking that a correlation between two sets of data implies causation becomes especially dangerous when this is plausible, such as the postulated link between cooking in aluminium saucepans and dementia. The correlation–causation fallacy is discussed in a wonderful book on seeing the world through numbers, The Tiger That Isn’t, by Michael Blastland and Andrew Dilnot,5 and some amusing examples of meaningless correlations in US affairs have recently been given by Joe Arrigo.6 For example, the correlations between: suicides by hanging and spending on science; the marriage rate in Kentucky and deaths by drowning after falling from fishing boats; the per capita consumption of cheese and deaths from becoming entangled in bed-sheets; the per capita consumption of sour cream and deaths after falling from wheelchairs; and crude oil imports from Norway and drivers killed by collision with trains. A good example of the plausibility problem came to my attention as I was writing this piece, in an article published in The Times on 23 December 2014, by Kat Lay, entitled Heart patients more likely to survive if doctor away.7 It referred to a study at Harvard Medical School, Boston, USA, published online by JAMA Internal Medicine on 22 December 2014,8 which indicated that, while 60% of high-risk heart attack and cardiac arrest patients died in teaching hospitals within 30 days of admission when senior doctors were away at cardiology conferences, 70% died when they were present. The survival rates of low-risk patients were not affected, nor were the survival rates of high-risk or low-risk patients in non-teaching hospitals. All kinds of plausible reasons for the difference are being suggested. For example, fewer high-tech, and possibly more risky, treatments (such as percutaneous coronary intervention) may be applied when the leading doctors are away at scientific meetings. That implies that the harms of sophisticated techniques might outweigh the benefits, or, as Anupam Jena, senior author of the report, said: “The evidence suggests that a less-is-more approach might be best for higher-risk patients with these conditions”,9 but proving cause, rather than mere correlation or coincidence, will not be easy. Mark Twain popularised the saying, often attributed to Benjamin Disraeli, that “There are three kinds of lies: lies, damned lies and statistics”, which is often used to cast doubt on the persuasive power of numbers or to cast doubt on the statistics used to prove an opponent’s point.10 That saying is, of course, nonsense, and exposes the weakness of those who use it. In two other memorable books, both by Joel Best, Damned Lies and Statistics: Untangling Numbers from the Media, Politicians, and Activists11 and More Damned Lies and Statistics: How Numbers Confuse Public Issues,12the author considers the simple premise that vast quantities of statistics are bandied about in all walks of life, and we frequently rely on them to form our own opinions, though we don’t understand how the numbers work. There are four kinds of people when thinking about statistics: awestruck, naïve, cynical, and critical — Best considers most people to be naïve, and that this can lead to poor policies and poor decisions, and his aim is to turn them all into critical thinkers. Russell and Burch had a critical view of statistics, i.e. they had a balanced and sensible approach in exercising careful judgement and judicious evaluation, as they recognised that the proper application of appropriate statistical methods is crucial to relevant and reliable biomedical research and testing. We should all have the wisdom to do likewise. 1 Balls, M. (2013). The Wisdom of Russell and Burch. 4. Reduction. ATLA 41, P24–P25. 5 Blastland, M. & Dilnot, A. (2007). The Tiger That Isn’t, 184pp. London, UK: Profile Books Ltd.
7 Lay, K. (2014). Heart patients more likely to survive if doctor away. The Times, 23.12.14, p. 22. 8 Jena, A.B., Prasad, V., Goldman, D.P. & Romley, J. (2014). Mortality and treatment patterns among patients hospitalized with acute cardiovascular conditions during dates of national cardiology meetings. 11 Best, J. (2001). Damned Lies and Statistics: Untangling Numbers from the Media, Politicians, and Activists, 219pp. Oakland, CA, USA: University of California Press. 12 Best, J. (2004). More Damned Lies and Statistics: How Numbers Confuse Public Issues, 217pp. Oakland, CA, USA: University of California Press. The Principles of Humane Experimental Technique is now out of print, but the full text can be found at http://altweb.jhsph.edu/pubs/books/humane_exp/het-toc. An abridged version, The Three Rs and the Humanity Criterion, by Michael Balls (2009), can be obtained from FRAME. parts of the same whole concept. In the first Wisdom of Russell and Burch comment in PiLAS,1 their concept of inhumanity, its sources, diminution or removal were discussed. In the outstanding Chapter 4 of The Principles of Humane Experimental Technique,2 they distinguished between direct inhumanity, “the infliction of distress as an unavoidable consequence of the procedure employed”, and contingent inhumanity, “the infliction of distress as an incidental and inadvertent by-product of the use of the procedure, which is not necessary for its success”. They saw the avoidance of contingent inhumanity as mainly a matter of good husbandry, diligent care and common sense, but correctly saw the diminishing or removal of direct inhumanity, defined as unavoidable, as a completely different matter. The problem of severity was addressed in detail in Chapter 2 of The Principles, and is such a huge issue that it deserves to be considered separately in a future issue of PiLAS. variables, and that “a cross-classification will ultimately be required along all three dimensions”. I think that what they mean by this, is that we should see them as separate, but indivisible, parts of the same whole concept. Reduction, leading to Replacement. Replacement will occur when the need for more directly-relevant human alternatives is necessary, and intellectual energy and other resources are released to encourage them to be made available and implemented. 1 Anon. (2012). The Wisdom of Russell and Burch. 1. The concept, sources and incidence of inhumanity and its diminution or removal through implementation of the Three Rs. ATLA 40, P15–P16. 2Russell, W.M.S. & Burch, R.L. (1959). The Principles of Humane Experimental Technique, xiv + 238pp. London, UK: Methuen. Lower organisms can be particularly useful as high discrimination models in fundamental research, but cannot offer the high fidelity required when specific questions are asked about humans in health and disease, and about their responses to drugs and other chemicals. In The Principles of Humane Experimental Technique,1 Russell and Burch discussed comparative substitution as a form of replacement by organisms which were not of humanitarian concern. This included non-sentient material, such as higher plants, micro-organisms, and the more degenerate metazoan endoparasites, “in which nervous and sensory systems are almost atrophied”. They accepted that “a more difficult question arises when we consider the free-living metazoan invertebrates”, but they “arbitrarily excluded them from consideration as objects of humanitarian concern”. They commented that “to shed obsessional tears over the fate of these organisms would bring the whole concept of humanity into contempt by Samuel Butler’s famous reductio ad absurdum” (disproof of a proposition by showing that it leads to absurd or untenable conclusions), and his satirical piece about the fictional country where a professor of botany contended that “vegetables are only animals under another name”, and that, if it is “sinful to kill and eat animals”, it is no less sinful to eat “vegetables or their seeds”! Fidelity models have a high general similarity to what is being modelled (e.g. old world monkeys and humans), whereas discrimination models involve a high specific similarity to what is being modelled, while lacking many other similarities. The problem, which they call the high-fidelity fallacy, arises when a fidelity model is used in attempts to predict precisely what will happen in what is being modelled, such as when rats, mice, dogs or macaques are used to predict whether candidate drugs will work in humans, without unacceptable side-effects. The use of discrimination models is less demanding and less likely to be fallacious, since the questions asked are better targeted (e.g. will this treatment damage cell membranes or DNA, or inhibit DNA, RNA or protein synthesis, or mitochondrial functions). Another way of expressing the distinction is to draw the contrast between fundamental and applied research. 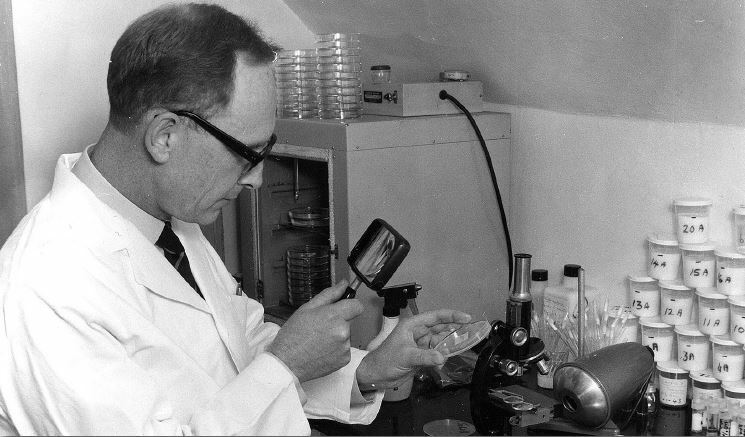 It cannot be denied that many types of organism undoubtedly have value as discrimination models at the fundamental research level, including plants such as onion (Allium cepa) and garlic (Allium sativum), bacteria such as Escherichia coli, fungi such as yeasts (Saccharomyces cerevisiae), slime moulds such as Dictyostelium discoideum, coelenterates such as hydra (Hydra magnipapillata), nematode roundworms such as Caenorhabditis elegans, insects such as Drosophila melanogaster, and lower vertebrates, including fish such as the zebrafish (Danio rerio) and amphibians such as the South African clawed toad (Xenopus laevis). These organisms are being extensively used in fundamental research on cell and molecular biology, cell death, ageing, developmental biology, immunobiology and neurobiology. However, they cannot tell us precisely what happens in humans, in health or disease, or after exposure to drugs and other chemicals. Hence, although some pharmacotoxicological test systems involving lower organisms and aimed at predicting effects in humans have been proposed, they are unlikely to provide solutions to the problems currently facing the pharmaceutical industry (lack of efficacy or unacceptable side-effects, discovered late in drug development), because the differences between these organisms and humans are too great for tackling other than certain highly specific questions which may apply to many different kinds of organisms. That is why so much effort is currently being invested in the search for relevant and reliable, more-directly human-oriented systems, which will combine high fidelity and high discrimination. Russell and Burch’s Principles was, of course, primarily focused on “the intimate relationship between humanity and efficiency in [animal] experimentation”, and they were rightly concerned about how their concept of inhumanity and its diminution or removal applied to lower animals, as well as to mammals. By chance, as I was thinking about this, I received a copy of a new book by Robert Hubrecht, a zoologist who is CEO and Scientific Director of the Universities Federation for Animal Welfare, the organisation which employed Russell and Burch to do the research which led to The Principles. Entitled The Welfare of Animals Used in Research,3 the book provides a highly-detailed, wide-ranging, thoughtful, thought-provoking and up-to-date analysis of the kinds of issues raised by the principles and application of the Three Rs, based on his own long experience. Hubrecht discusses the reasons for using animals in research, legislative and other controls, and the moral imperative — the need to reduce any animal harm to a minimum. In a chapter on species choice and animal welfare, he discusses consciousness/sentience, and the relationship between neurological complexity and the capacity to suffer, with reference to invertebrates and lower vertebrates, as well as mammals. Later on, he argues that, “rather than attempting to develop some scale of suffering so that an animal lower on the scale is always used in preference to one higher up, a much more rigorous approach is to evaluate the impact of the proposed study on the candidate species”. He describes this as an “evolutionary approach, which requires a deep understanding of the needs and adaptations of each species. Here, as in many other parts of the book, Hubrecht’s training as a zoologist shines through, and I am convinced that another zoologist, Bill Russell, would have been very supportive of what he has to say. As for me, while I haven’t yet had time to read the book in detail, and I doubt whether I will agree with absolutely everything it says, I am content to endorse the remark of Paul Flecknell on the back cover, that: “This book should be read by all those involved in the use of animals in research and by anyone who has interests or concerns as to how this type of research is conducted”. 2 Balls, M. (2013). The wisdom of Russell and Burch. 3. Fidelity and discrimination. ATLA 41, P12–P13.